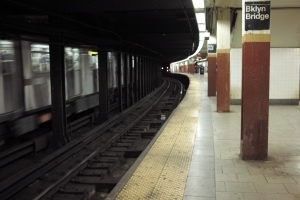 According to a recent article from Media Bistro, a comedian passed out on the platform of a New York City subway station and was hit by a train. This occurred while she was coming from an audition to be on Saturday Night Live. The South Carolina comedian is still recovering from the accident, which occurred this past February. She is now in Greenville as she tells her story of what happened. In 2014, she came to New York City to pursue her comedy career. She was homeless, but was doing well professionally. She had an agent and an interview with Saturday Night Live. After fainting and falling on the tracks where she was hit by a train, she found herself recovering from the serious accident at Belleview hospital where she was accruing huge medical bills. She did not have health insurance. Her friends helped raise around $75,000, but that was not enough to cover her medical bills, which were approaching $500,000. She has applied for disability benefits on two occasions and was denied both times. The article does not go into the reasons for her being denied, other than people telling her she was too young for disability benefits. As our Boston disability attorneys can explain, the issues a young person may face when applying for disability benefits has more to do with work history than age. While age is a factor when applying for Supplemental Security Income (SSI), in Social Security Disability Insurance (SSDI) claims, age is only used to determine how long a person must have worked prior to becoming disabled in order to qualify for benefits. Essentially, SSDI is a government-run disability insurance policy, which provides coverage for those who become disabled, and are unable to work. In order to qualify for benefits, a claimant must have “paid into the system” by working for a certain number of quarters prior to becoming disabled. This is similar to paying a premium for a private insurance policy. If someone is in his or her early 20s for example, he or she does not have to have years of work experience, but must have at least some work experience. This is because of the reasons SSDI was established. SSDI was created to aid those who are unable to work survive without other sources of income. If a person was not working when he or she was able to work, they chose to forgo earning income and the program is not designed for people to earn more on SSDI than they were earning before becoming disabled. However, even if you have a limited work history, it does not mean you should not apply for SSDI benefits after becoming disabled. The best thing to do is to seek a consultation with an attorney who regularly handles disability cases to see if you have a valid claim. Having representation during the application process will maximize your chances of obtaining a full and appropriate benefits award. It is also helpful to speak with an attorney as early in the process as possible as it better to file an appropriate application than have to correct problems after being denied benefits.